There are other animals besides the cuckoo who smuggle their offspring into another animal's nest. 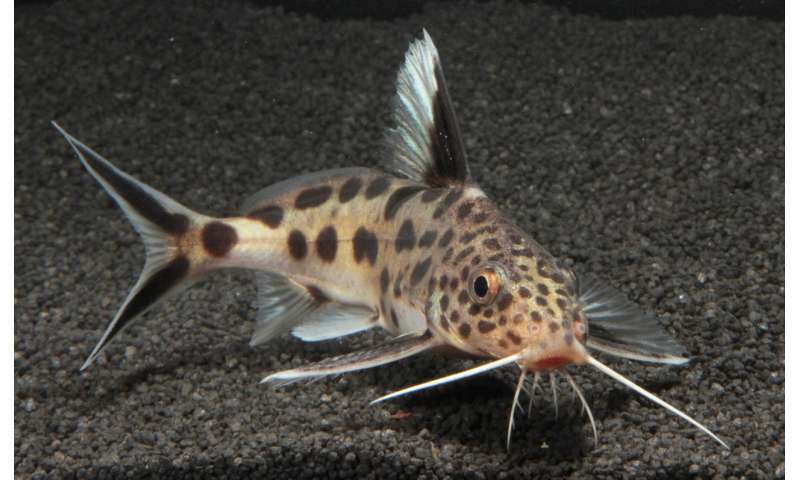 The synodontis multipunctatus, which lives in Lake Tanganyika in Africa and is better known as the cuckoo catfish, is just as cunning as the cuckoo. This savvy parasite, like the cuckoo bird, places its eggs among those of cichlids. To protect their eggs, cichlids carry their eggs in their mouths. Professor Axel Meyer, an evolutionary biologist from the University of Konstanz, and a team of researchers from the Institute of Vertebrate Biology in Brno (Czech Republic) have carried out research into the evolutionary strategies employed by cuckoo catfish and various types of cichlids that occur in Lake Tanganyika and several other African lakes. Their study paints a fascinating picture of evolutionarily shaped and individually learned defence behaviour, as well as the deception efforts employed by both species of fish—and the high price that cichlids pay for keeping the illegitimate offspring of the cuckoo catfish away from their own eggs. The research findings were published in the Science Advances issue published on 2 May 2018. Lake Tanganyika in Africa is famous for its biodiversity. 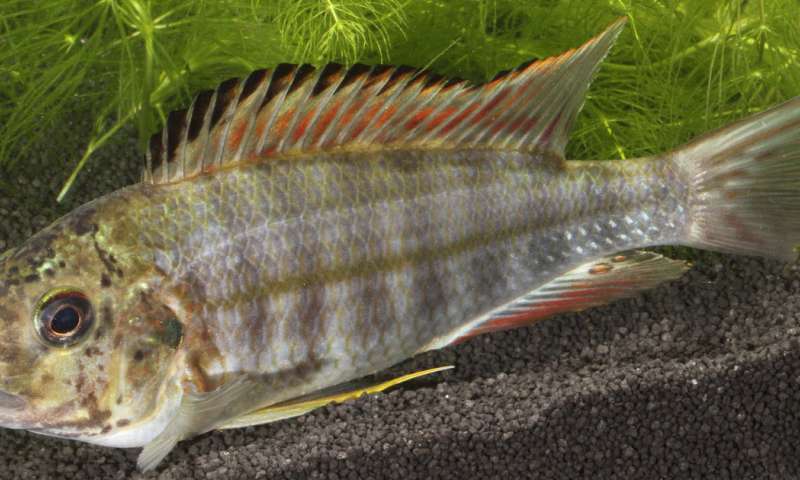 Many of its 250 endemic species of cichlids are mouthbreeders. To protect their offspring and prevent other fish from devouring them, cichlids carry and breed their eggs in their mouths. For several weeks after hatching and swimming by themselves, the young fish return to their mother's mouth for protection. It is this very particular brood care behaviour that the cuckoo catfish, also endemic to Lake Tanganyika, has learned to exploit. When the cichlids spawn, the cuckoo catfish places its own eggs among a cichlid's clutch of eggs. If this goes unnoticed by the cichlid, and if it distinguish its own eggs from those of the catfish, it will carry and breed both its own and the catfish eggs in its mouth. However, the larvae of the cuckoo catfish hatch sooner, devouring the cichlid's own offspring. Often, the cichlid will believe the illegitimate offspring of the catfish to be her own, continuing to protect them. But the cichlids have learned to defend themselves against the cunning of the cuckoo catfish. When gathering their eggs into their mouth, they try to identify and exclude the smuggled eggs. Often, however, overcaution will lead them to reject some of their own eggs, as well—a high price in return for their own evolutionary fitness. "Both species of fish have co-evolved for millions of years," says Axel Meyer about their well-matched relationship of deception and defence. The behaviour of these two species is evidence of what the biologist calls "evolutionary experience," which he documented in his joint study with his colleagues from Brno. The scientists obtained eggs both from the cuckoo catfish and from the mouthbreeding cichlids that live in Lake Tanganyika and raised them in an aquarium. Then they compared the captive cichlids' capacity for distinguishing their own eggs with that of other types of cichlid from other bodies of water where cuckoo catfish do not occur. The result: The deceptive strategy employed by the cuckoo catfish worked between three and eleven times better on the "evolutionarily naive" cichlids from other bodies of water. Due to their evolutionary experience, the cichlids from Lake Tanganyika, who share an evolutionary history with the cuckoo catfish, were much more successful in identifying and rejecting the parasite's eggs. By the term "evolutionary experience," the scientists mean natural selection in favour of the ability to discriminate smuggled eggs. The study also revealed that cichlids lacking evolutionary experience are unable to learn to reject the eggs of the cuckoo catfish—in contrast to co-evolved cichlids that increase their chances to see through the cuckoo catfish trick. This ability to adapt made the cichlids from Lake Tanganyika much more successful when coping with brood parasites. These findings suggest that is not the combination of evolutionary experience with individual experience and the ability to learn that help cichlids discriminate between their own and foreign eggs. Several bird species are known to practice brood parasitism, i.e. the smuggling of eggs into another bird's nest. Among fish, the cuckoo catfish is the only known obligate brood parasite. None of the other 40 catfish species endemic to Lake Tanganyika are known to behave like this.